The Beverly Hills based plastic surgeon comments on a recent article that rugby star Mike Tindall’s decision to obtain rhinoplasty primarily to deal with breathing issues is more common with plastic surgery patients than many people realize. The sports star prior to his recent rhinoplasty. Men and women who think that changing some aspect of their body can make them feel and look their best should feel free to explore the medical avenues open to them. 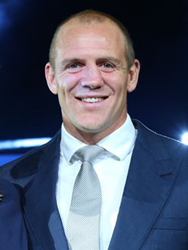 A May 12 article in the Daily Mail reports on retired English rugby star Mike Tindall’s decision to have corrective rhinoplasty. The athlete has reportedly broken his nose at least nine times, starting with a mishap with a broken seatbelt at age five and moving on to years as a leading player in one of the world’s most grueling sports. The result is a nose that was distinctive, to say the least. Mr. Tindall told a reporter: “'I loved my nose. I didn't really want to change it but it got to the point where I couldn't breathe properly.” Beverly Hills based plastic surgeon Payam Jarrah-Nejad, M.D., F.I.C.S., F.A.C.S., better known to his patients as Dr. J, says that Mr. Tindall’s experience is not so different from a great many of his patients who – more often than most people would think -- may sometimes be much more motivated by physical problems more than cosmetic concerns. Dr. J notes that, indeed, rhinoplasty is one of the most common plastic surgeries patients obtain for therapeutic reasons. While an aggressive athlete like Mr. Tindall might have subjected his nose to more wear and tear than most would suffer in several lifetimes, people who have led far less eventful lives are often bothered by issues related to a deviated septum, which is typically addressed through rhinoplasty. He adds that, naturally, some patients also look forward to improving their appearance with a procedure, but the good news is that therapeutic procedures on the nose are covered by most insurance companies, says the plastic surgeon. Another surgery that is as often motivated by physical reasons as well as cosmetic issues is a breast reduction. Dr. J notes that many women get the procedure to deal with back problems caused by being excessively top heavy. In addition, while most people think of tummy tucks as driven primarily by vanity, that’s hardly the case for many people who have had extremely large weight losses with the help of a successful bariatric surgery. Dr. J says that anyone who has ever seen pictures of the massive folds of skin often found on someone formerly very severely obese won’t be surprised to hear that they can be as uncomfortable as they are unsightly. Dr. J concludes by nothing that patients all have their own stories to tell, but men and women who think that changing some aspect of their body can make them feel and look their best should feel free to explore the medical avenues open to them. Readers who are interested in learning more can read about Dr. J’s qualifications online or call his office at 310-683-0200. Dr. J is double board certified by the American Board of Plastic Surgery and the American Board of Surgery. Payam Jarrah-Nejad, M.D., F.I.C.S., F.A.C.S.